My today’s post is about the India’s Got Talent (IGT) winners list of all season as well as Host & Judges name of season 1,2,3,4,5 & 6 . Before I do proceed with the IGT winners list of all seasons would like to give you short information about the show. India’s Got Talent which also abbreviated as IGT is a most popular India reality TV show and first show was aired on colors 27th of June 2009. India’s Got Talent got huge popularity in it’s very first season because it’s totally different format. It is the first Got Talent format show in Asia, and India’s first large-scale televised entertainment variety show, intending to showcase India’s best unknown acts and talents. To find out the hidden talent of India show travels to different cities of India and the best thing about the show that there is no age limit for the contestants. Whatever talent you have either singing, music, dance impersonation, puppetry, illusion, magic tricks, art boxing and more all talent are allowed to compete in the show and the winner of the show receives the cash prize of Rs. 50 Lakh and a Maruti Suzuki Ritz. In the winner list of India’s Got Talent of all season I have also mentioned about the winning act. So that, you can enjoy reading the article and could know more about the winning team so here we go with the list. The first season of India’s Got Talent (IGT) is started in year 2009 the first episode of the show was aired on 27th of June 2009 which was won by the Prince Dance Group. The winning act of the first season of India’s Got Talent was of the Prince Dance Group from Berhampur, Orissa. The group of 56 performed a dance inspired by the Lord Vishnu’s Dashavatara you can see the video as well mentioned below. 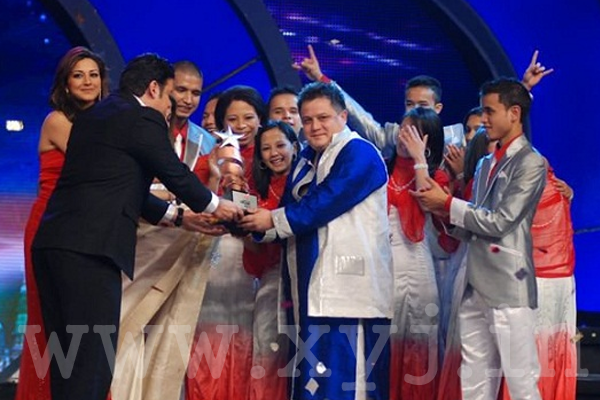 IGT back in 2010 with its season 2 which was started in 30 July 2010 in season 2 of IGT people from every part of the country including remote areas and developing part of the country participate in fewer select many rejected and finally after several round Shillong Chamber Choir won the India’s Got Talent season 2. The winning act done by the Shillong Chamber Choir is led by Neil Nongkynrieh. The Choir group is known for their powerful Khasi opera with a western music fusion. You may also enjoy the winning moment with this video. After getting immense popularity from the Indian audience season 3 of India’s Got Talent is back and started on TV from 29th of July 2011. The Suresh and Vernon Group won the heart of several Indians with their performance in Grand finale along with the prize money of Rs. 50 Lakh. 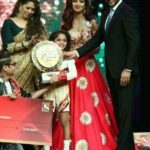 After getting immense popularity in season 3 in India as well as across the India India’s Got Talent back with season 4 and finale won by two young dancers Sonali Majumdar (7) and Maraju Sumanth (13) from Kolkata’s Bivash dance academy fourth season winning a cash price of Rs. 50 lacs and Maruti Alto 800. With the same judge panel India’s Got Talent started in 11th January 2014 and it is won by the Ragini Makkhar and her Naadyog Academy won the season. For the winner of India’s Got Talent Season 6 all we have to wait as at the moment auditions are in process and after that IGT will be aired on TV so keep in touch with us to know the latest winner of India’s Got Talent.